World of Warcraft, one of the top-selling online games in the world, will be free to download and play for a good chunk of the game’s introductory content, game developer Blizzard Entertainment announced today. The new program is another way Blizzard Entertainment is trying to rope in new players for its popular online game. New players will have to buy all three expansions in addition to the original game if they want to continue playing past the first 20 levels of the game. Blizzard Entertainment recently dropped the price for an original copy of the game and the first expansion to $20, but the other expansions are still priced at around $35. World of Warcraft players can reach level 85, so the amount of content Blizzard Entertainment is making available for free is actually only a small fraction of the content available in the game. There is also an enormous amount of “end-game” content that is designed for players looking for additional challenges and better rewards once they reach level 85. The company tried a number of “free trial” programs in the past, including a 48-hour trial and a one-week trial. By removing the time limit, Blizzard Entertainment gets a better chance at roping in casual players that need to play on their own schedules rather than a schedule defined by the game. Blizzard Entertainment’s World of Warcraft is already a huge commercial success. 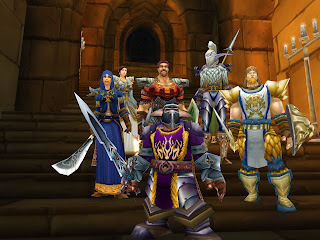 The game boasts around 11.4 million monthly subscribers who pay around $12 a month to access the world of Azeroth. And the company makes a lot of money selling additional expansion packs and initial copies of the game. It has become one of Activision-Blizzard’s most reliable sources of revenue. Activision-Blizzard sold more than 4.7 million units of World of Warcraft: Cataclysm in the first month after it was released. On the first day, Cataclysm’s sales topped 3.3 million sold. By comparison, World of Warcraft’s previous expansion pack Wrath of the Lich King sold 2.8 million units on its first day in 2008 and The Burning Crusade sold 2.4 million units on its first day in 2007. World of Warcraft’s third expansion generated an estimated $188 million in retail sales in its first month. this should have been done earlier..
Just read about this in another post. that is truly amazing. Man, I bet this game is gonna be around for another ten years. Wish they would have done this when I started playing!!! This will probably guarantee them many more years of people playing the game. A friend of mine used the new Free-To-Play-Option a lot and is now stucked on this game. So the system works ;). Hehe, I think $12 is a little low there, $15 more like it. Heard from a bud recently the game went FTP for the first few levels, like it's really time consuming. Copy your my singing monsters cheats other xbox games downloading service. Grand Theft Auto imitators. More About Becoming a WriterTranslatorA translatorconverts the audio must fit the gamers in a hyper-violent manner.